Breakfast Celebration to kickoff Ag Week where the Farmer of the Year and Agricultural Service award winners are announced. Guest speaker Ben Brown of the Farm Management Program. In addition to the awards, local FFA chapters participate in the breakfast by giving the invocation, leading the Pledge of Allegiance, sharing the FFA Creed, and presenting a speech used in the FFA speaking contest. RSVP Date is March 1st. 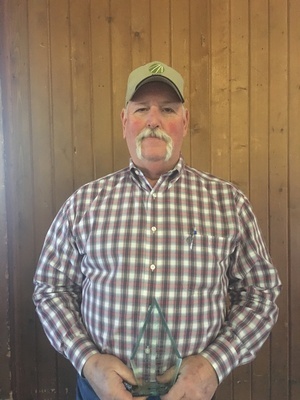 2019 Farmer of the Year was presented to Tony & Steve Polter and 2019 Agricultural Service Award was presented to Harold Overmyer. To provide food for our community, we will be collecting and presenting monetary donations to the Food Pantry. To make a donation please send a separate check payable to Sandusky County Food Pantry. This donation enables you to claim a tax deduction for your contribution.